The JCPenney Black Friday 2016 Ad is now live! 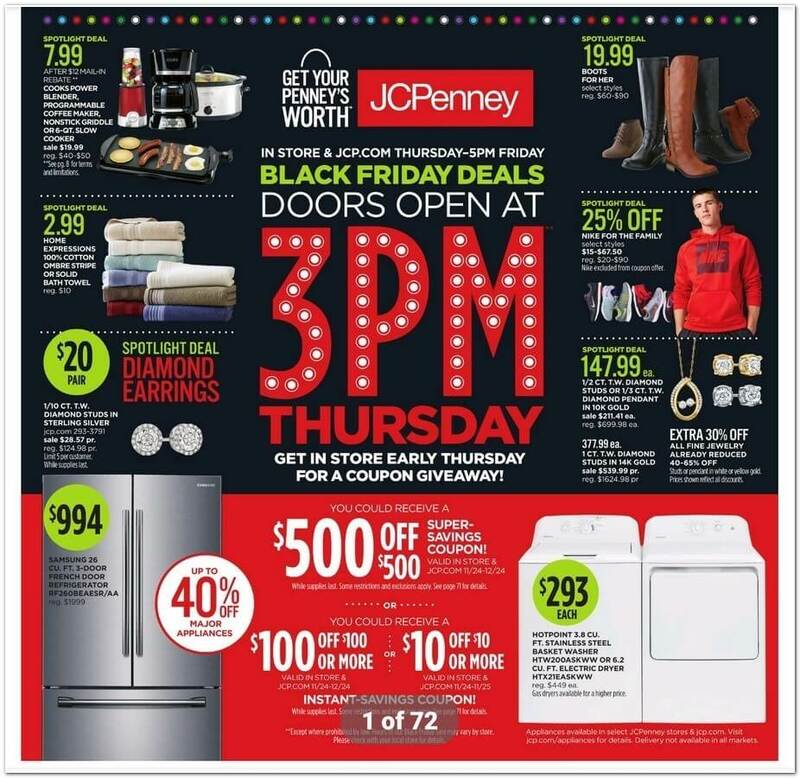 JCPenney stores will be open on Thanksgiving Day this year with the doors opening at 3pm and many of their deals will be available until 5 p.m. on Black Friday. Check out their 72 page ad below and shop online or in stores for the best doorbuster deals.